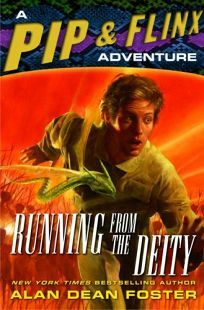 In the better than average 11th installment of Foster's popular Pip and Flinx series (after 2004's Sliding Scales), the empathetically gifted Flinx and his mini-dragon companion, Pip, go in search of a weapon to use against a powerful enemy. When Flinx's sentient spaceship, Teacher, needs to repair itself, they land on the lovely world of Arrawd, which has the necessary raw materials. There Flinx meets the fisherman Ebbanai and his shrewd wife, Storra, who soon discover that Flinx not only shares their empathic powers but can also miraculously heal the sick residents of Arrawd. Soon enough, Ebbanai and Storra, as well as the local rulers, are exploiting Flinx's gifts for their own monetary gain. By now, the detour on Arrawd has already forced Flinx to defy his mission and his principles. Flinx will have to fight back with Teacher's weaponry and survive a suicide bombing by religious fanatics before the sadder but wiser people of Arrawd will let him go. Meticulous, if sometimes tedious, descriptions render the strange landscapes and characters of Foster's world with believable clarity. A classic alien-contact novel, this recalls the work of the late Hal Clement.